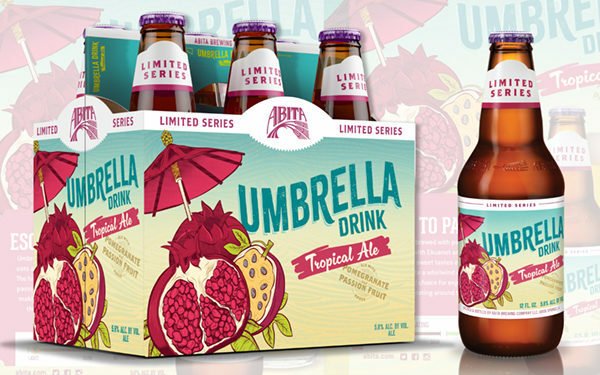 A few months ago, I was commissioned to create illustration work for the packaging on Abita Brewing Company’s new Umbrella Drink. 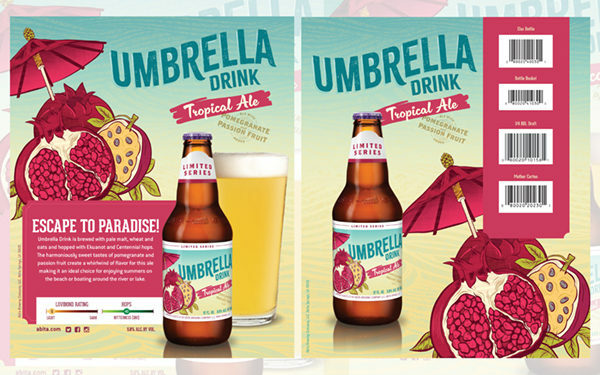 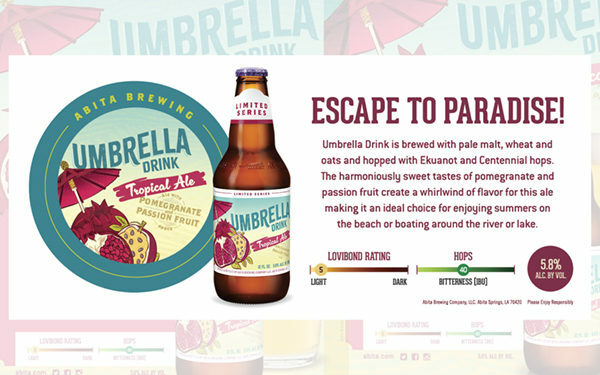 Umbrella Drink is a seasonal beer in the brewery’s Limited Series and will be available starting in July 2018. 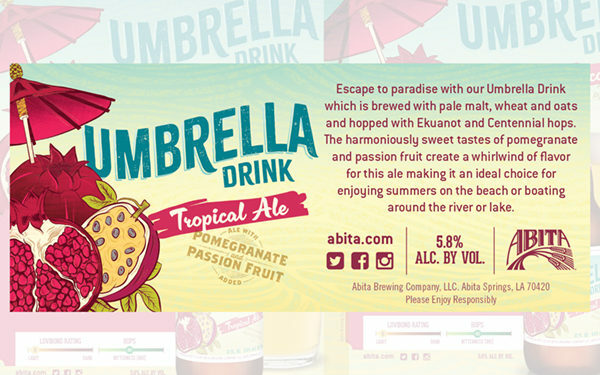 The work was created in collaboration with Luis Cintron of Katapolt Solutions.